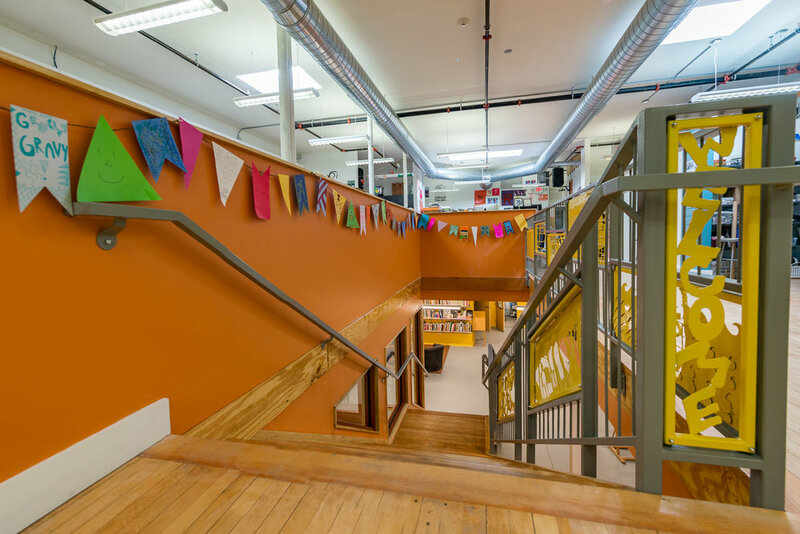 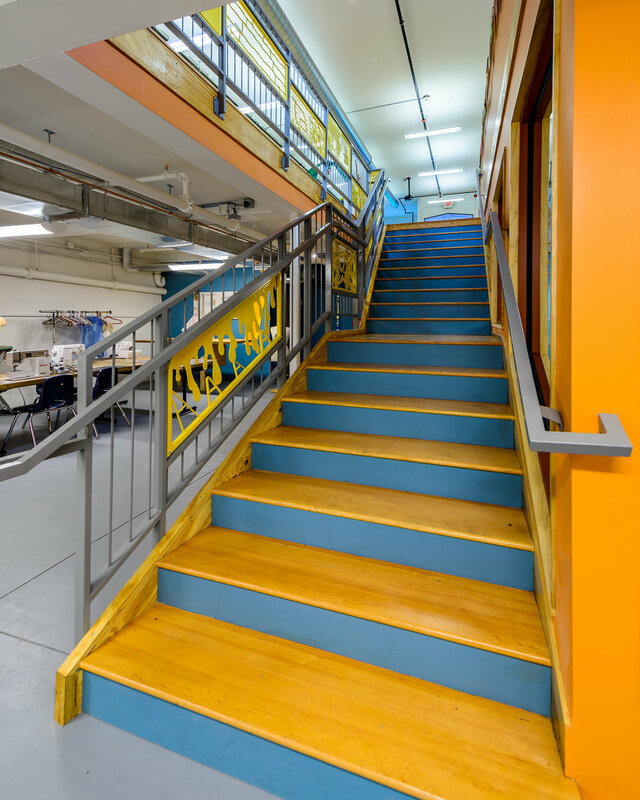 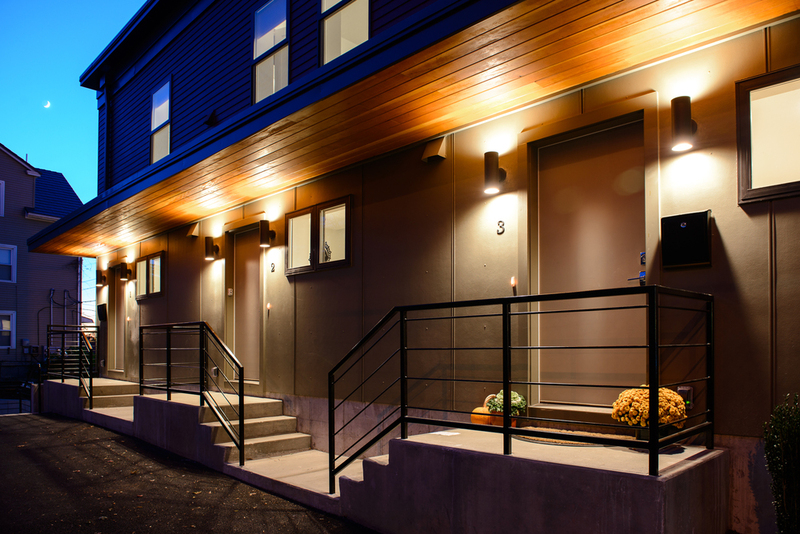 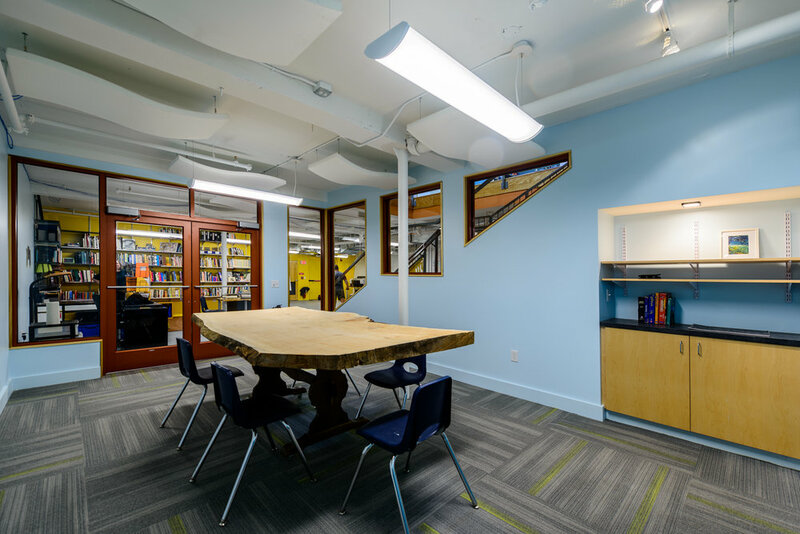 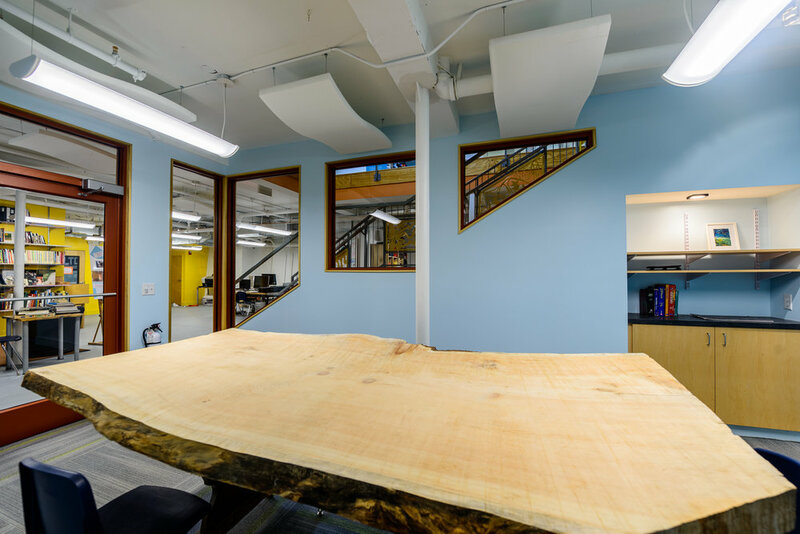 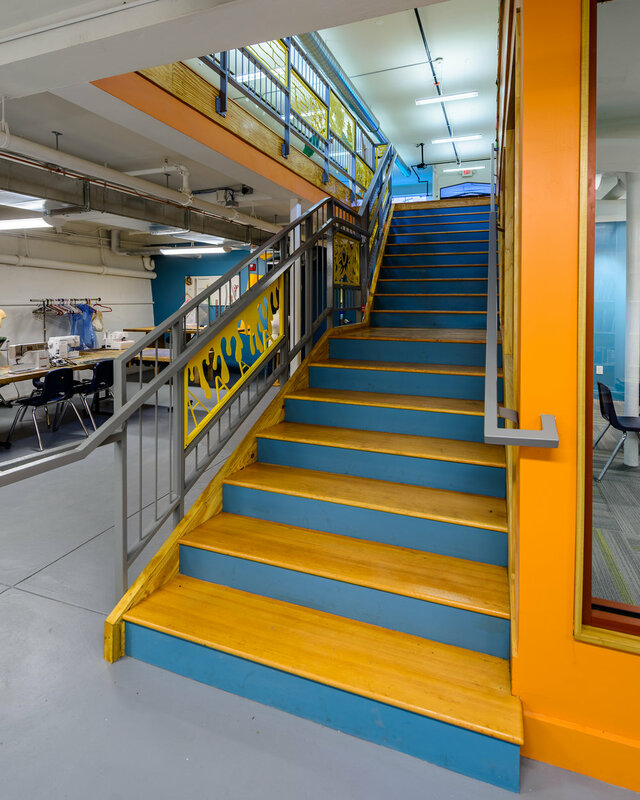 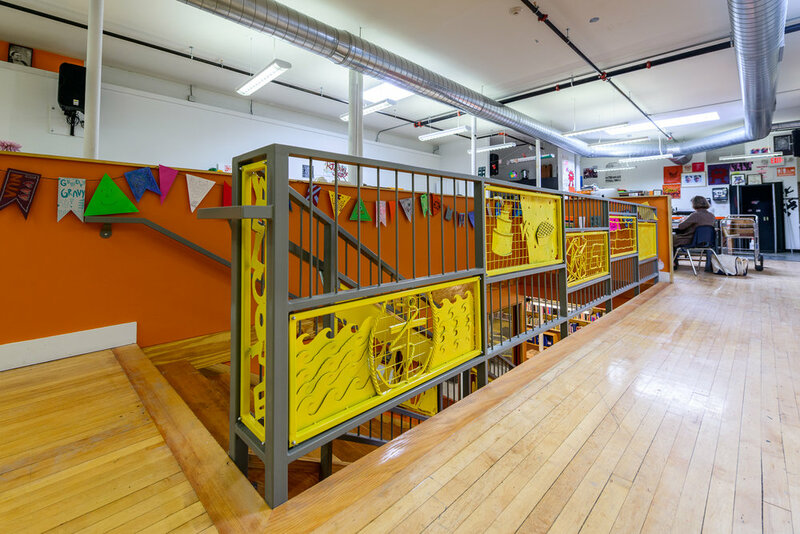 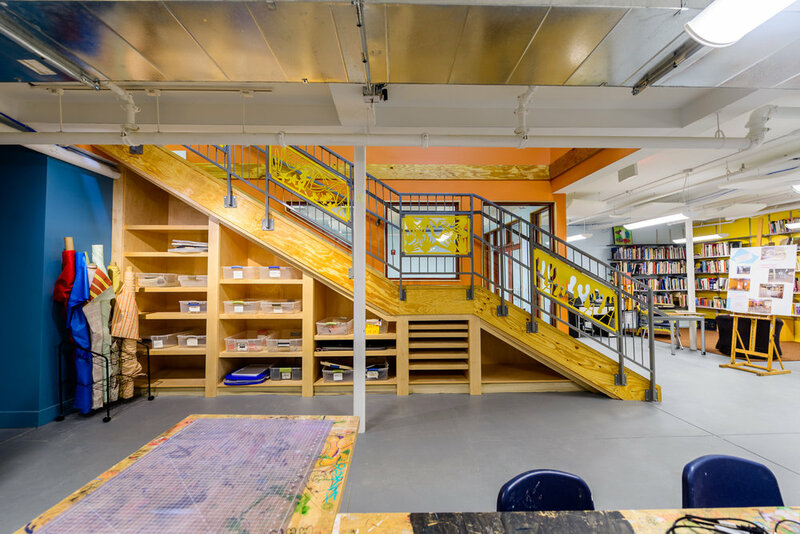 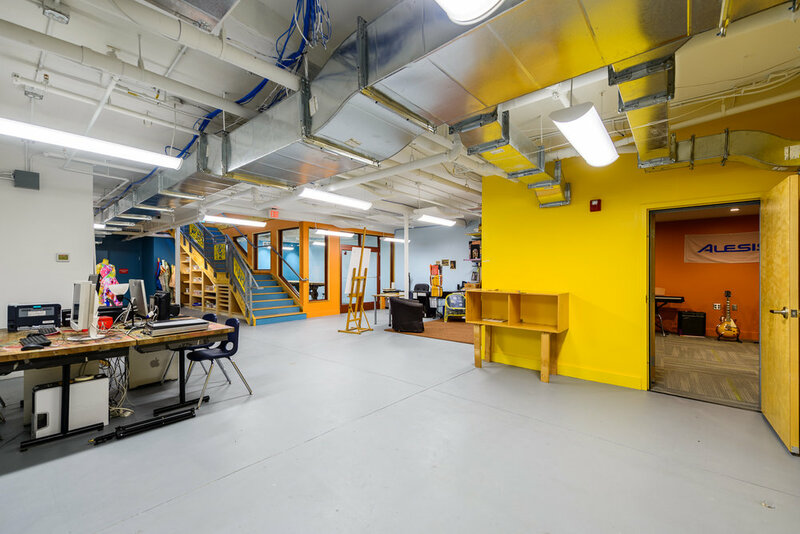 New Urban Arts is growing (again), and after being in their new building for only a couple of years, they contacted us about connecting the unfinished basement to the main floor to meet the increasing demand for their award-winning after-school arts programming. 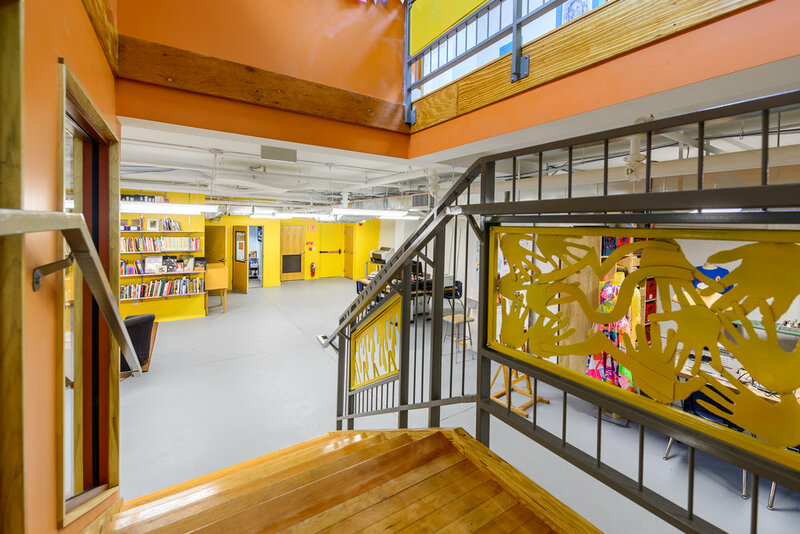 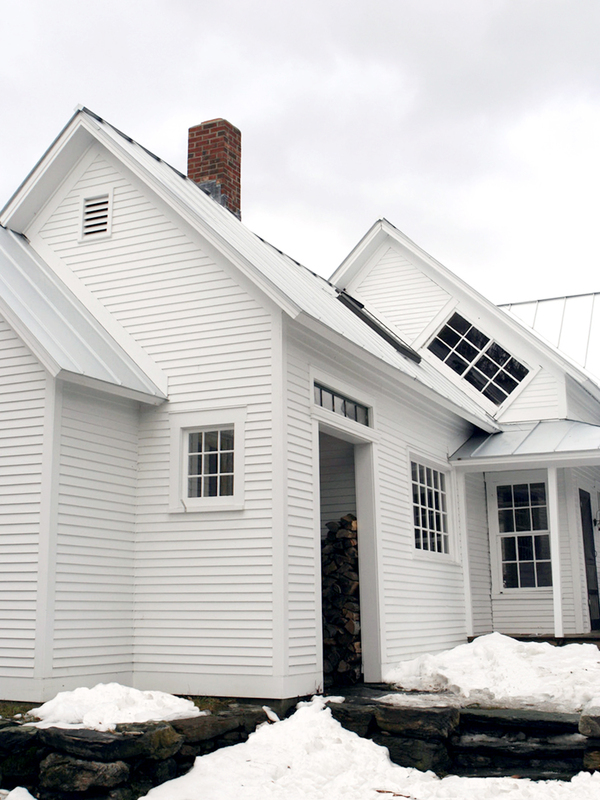 The staff at NUA was very clear and imaginative about what they wanted from their new space. 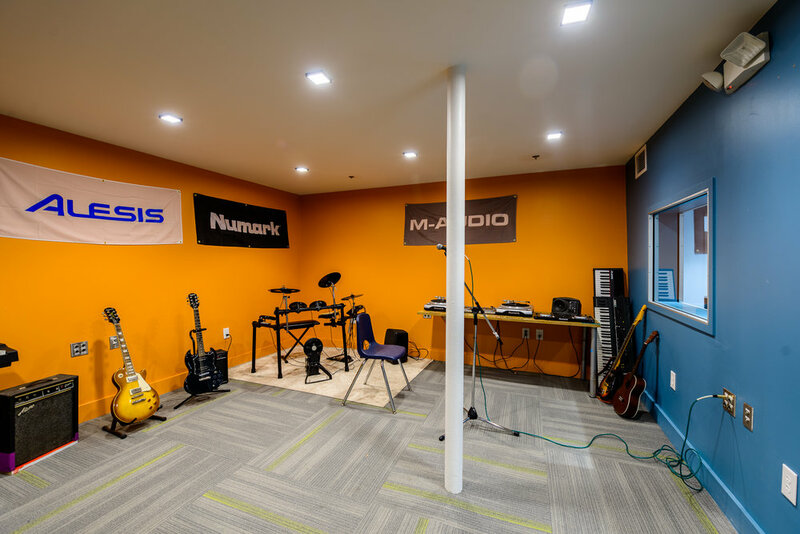 Their wish list included: a sound studio, more room for sewing and digital arts, a community space/classroom that could be utilized by other groups in the area, or for teaching in-house. 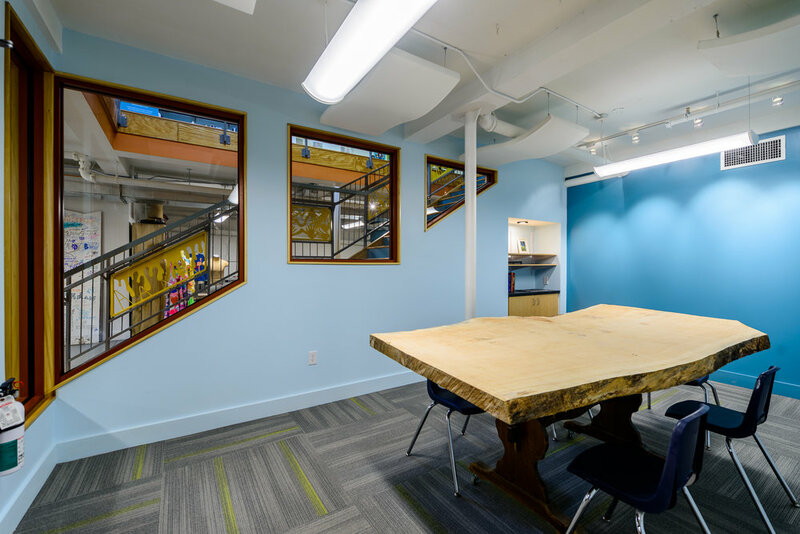 From start to finish, the collaborative design spirit was flying high – talk about fun clients! 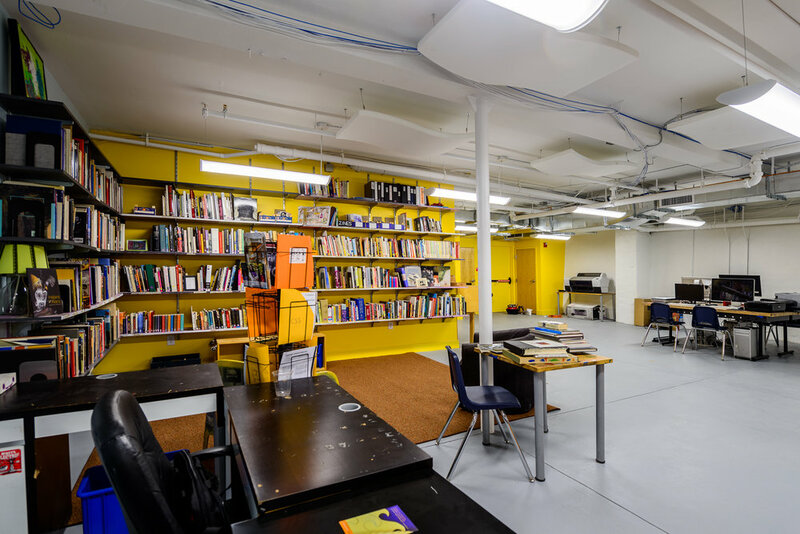 The studios have been open for a few months now, and the reviews are in: the students really like the space; staff too! 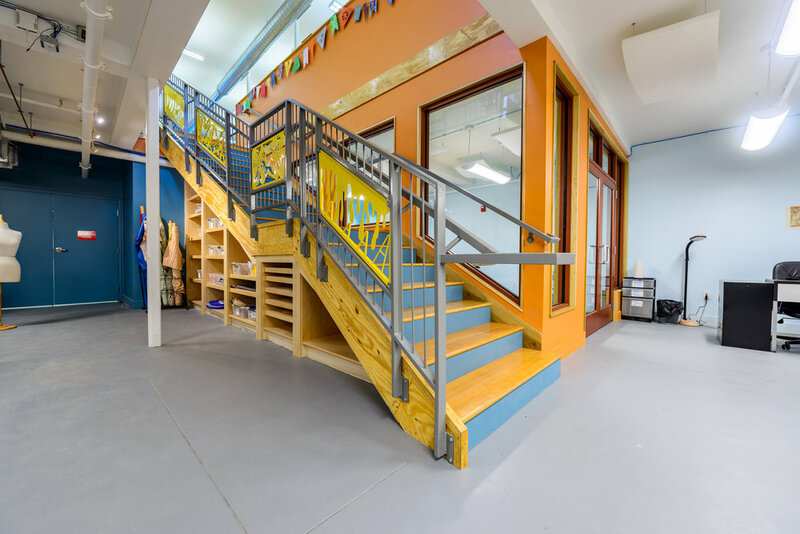 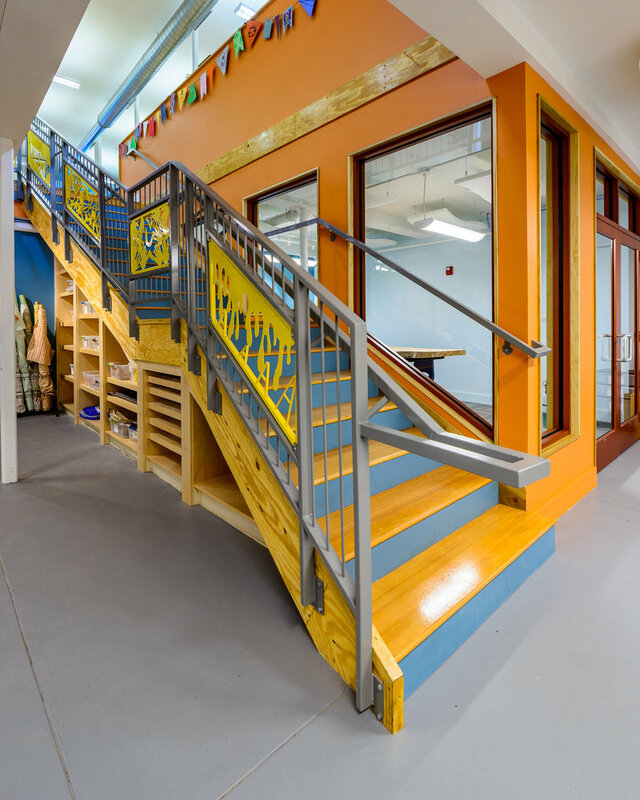 Everybody likes the stair, with panels designed and built by the students and installed by The Steel Yard (another great arts organization located in PVD). 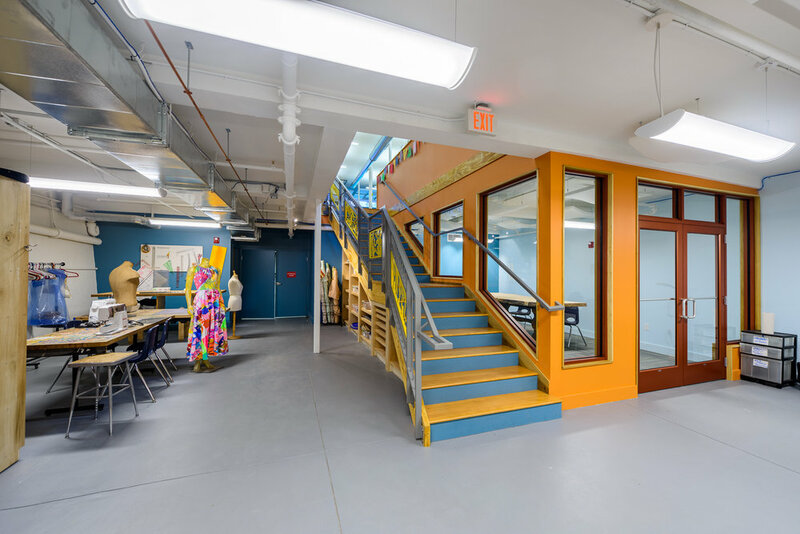 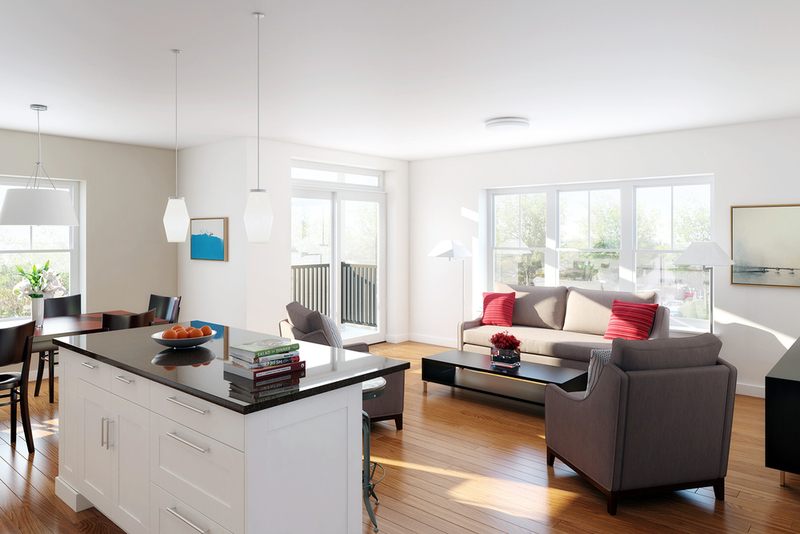 The natural daylight from the skylights finds its way down through the open stair into the basement, and the colors transition as one descends the stair into the multi-use space. 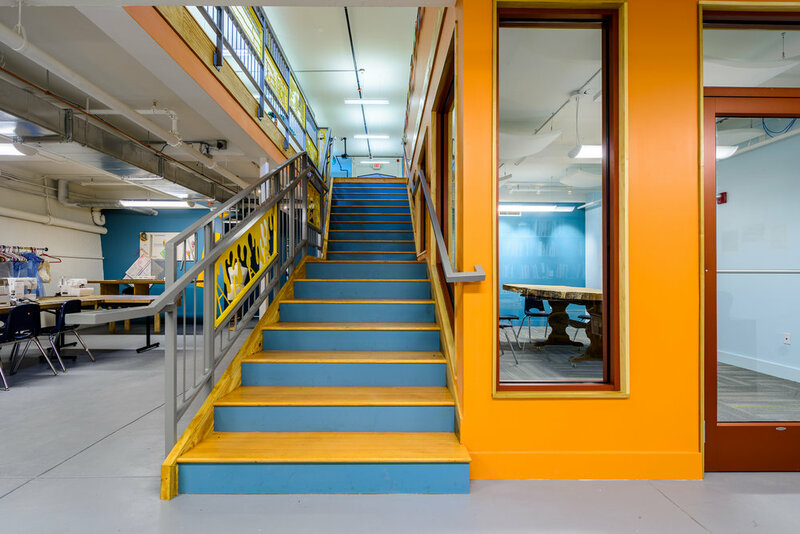 There is still plenty of storage for projects, but at least NUA can continue to welcome even more students every afternoon with their additional space. 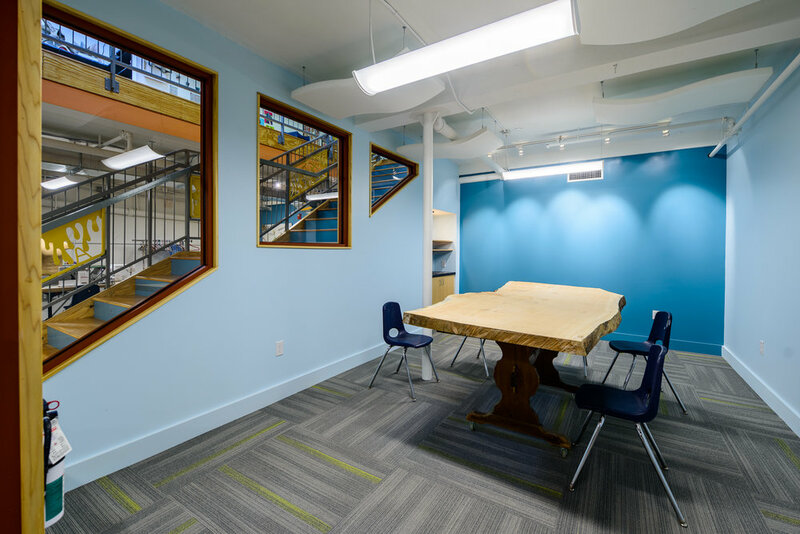 Thanks to Case Construction for a job well done.